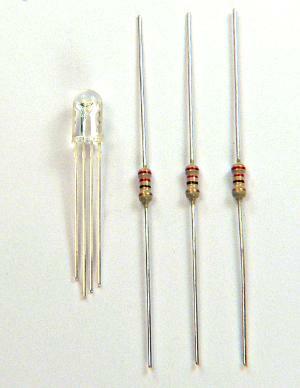 Red, Green, Blue LED with 220 ohm resistors included. This is the same RGB used in the Teensyduino Tutorials. In this photo, the Green portion is illuminated. The LED is very bright when powered with 5 volts and the 220 ohm resistors.